Advances in computer storage have created collections of data so huge that researchers often have trouble uncovering critical patterns in connections among individual items, making it difficult for them to realize fully the power of computing as a research tool. Now, computer scientists at Princeton University have developed a method that offers a solution to this data overload. Using a mathematical method that calculates the likelihood of a pattern repeating throughout a subset of data, the researchers have been able to cut dramatically the time needed to find patterns in large collections of information such as social networks. The tool allows researchers to identify quickly the connections between seemingly disparate groups such as theoretical physicists who study intermolecular forces and astrophysicists researching black holes. Finding patterns in the connections among points of data can be critical for many applications. For example, checking citations to scientific papers can provide insights to the development of new fields of study or show overlap between different academic disciplines. 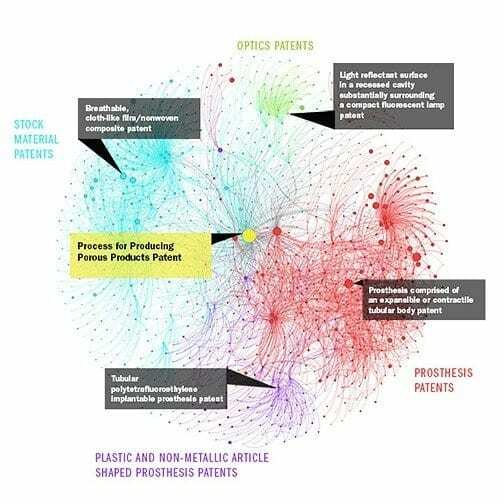 Links between patents can map out groups that indicate new technological developments. And analysis of social networks can provide information about communities and allow predictions of future interests. March 27, 2019 - Reciprocating Pattern Recognition Gas Compression MagazineHolizTech looks to move reciprocating compressor and engine condition monitoring from an art to a science. April 12, 2019 - Financial Stocks To Watch: MSCI Launches New Run After Joining This List Investor's Business DailyMSCI, one of today's top-rated financial stocks, launched a new run just days after getting added to the IBD Breakout Stocks Index on Jan. 23. April 12, 2019 - Charting Man Dan Explains Tightening Patterns and Risk-Reward Scenarios Midas LetterCharting Man Dan McDermitt, founding partner and analyst with the Chart Guys, explains the relationship between tightening patterns and periods of volatility.